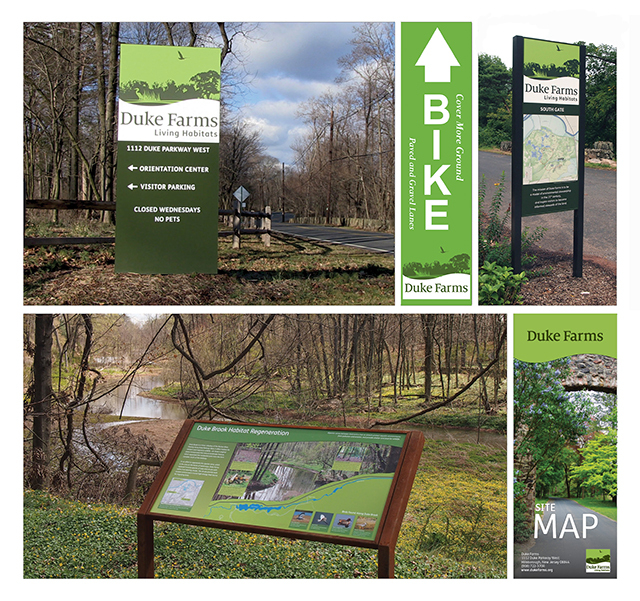 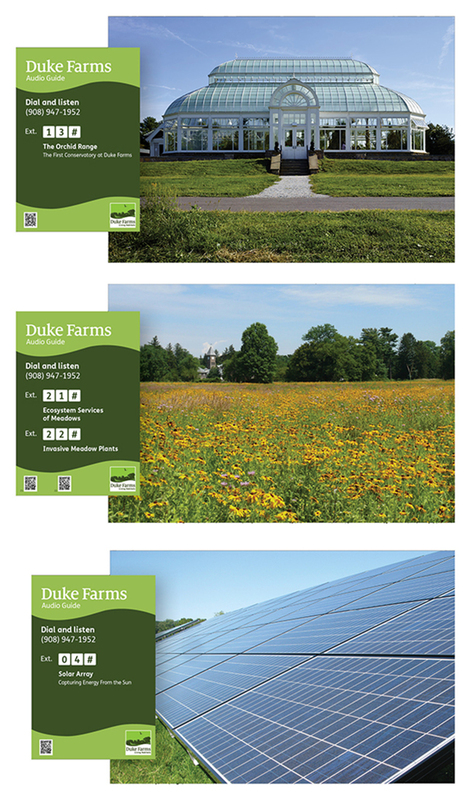 Duke Farms offers visitors over 1,000 acres to explore by tram, by bike and by foot. 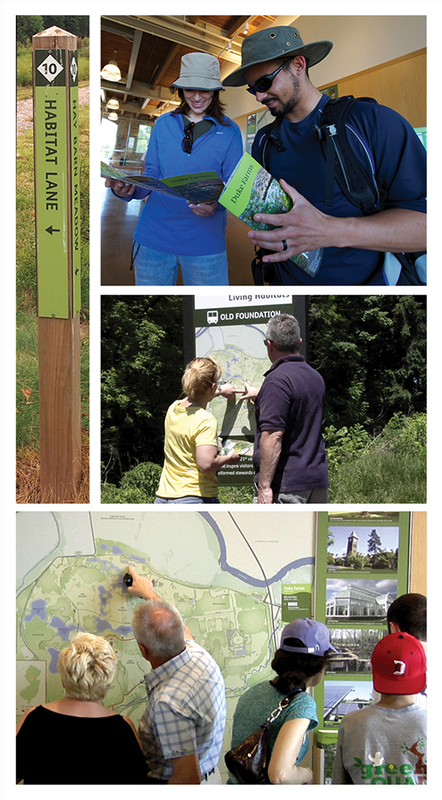 Building on a new identity program, Whirlwind designed and produced a range of media used for wayfinding and interpretation on site. 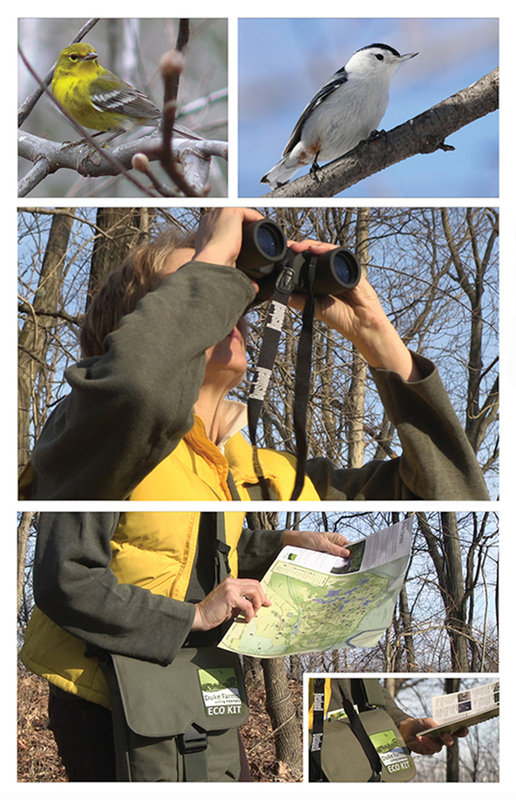 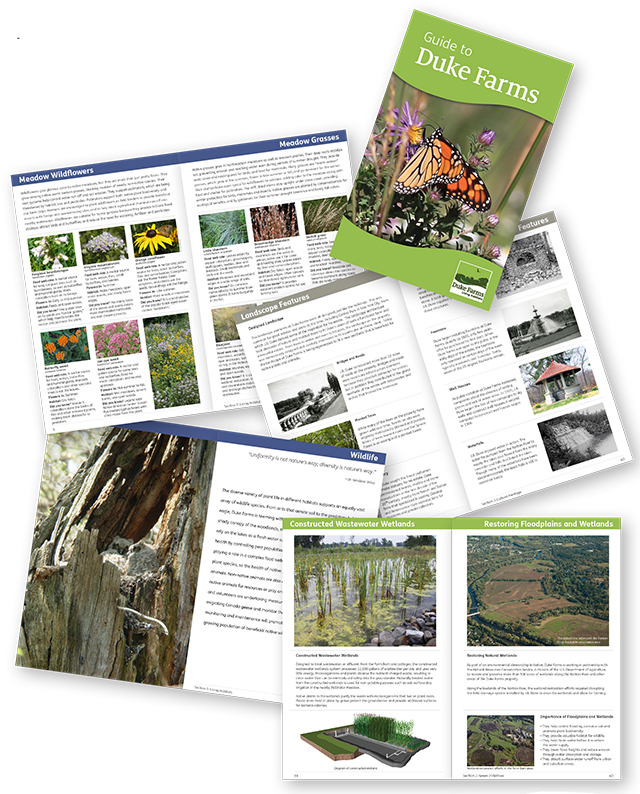 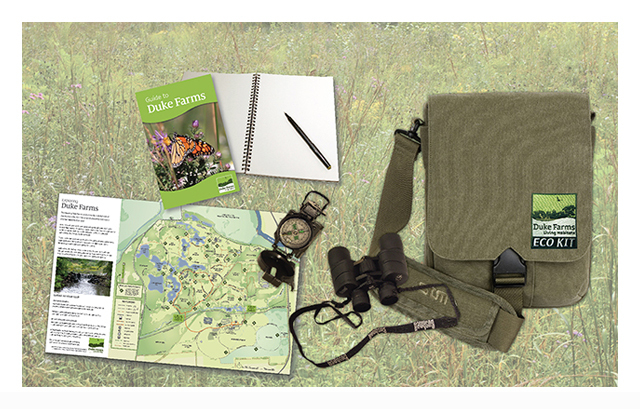 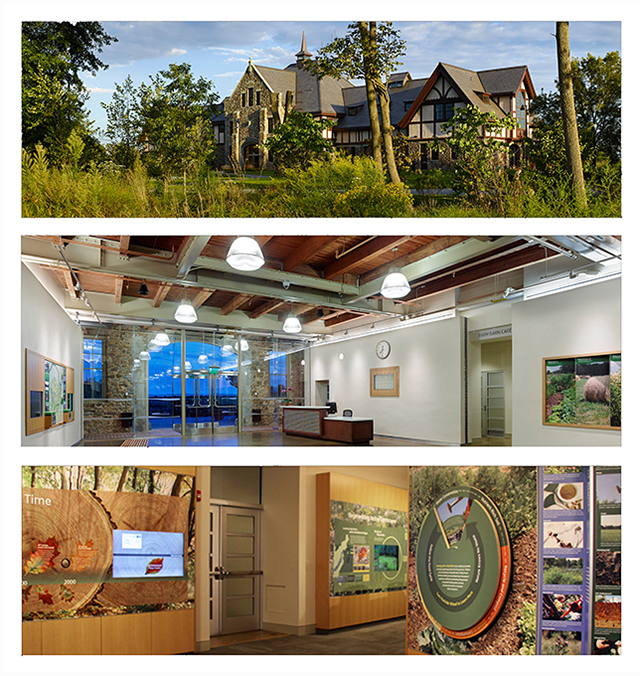 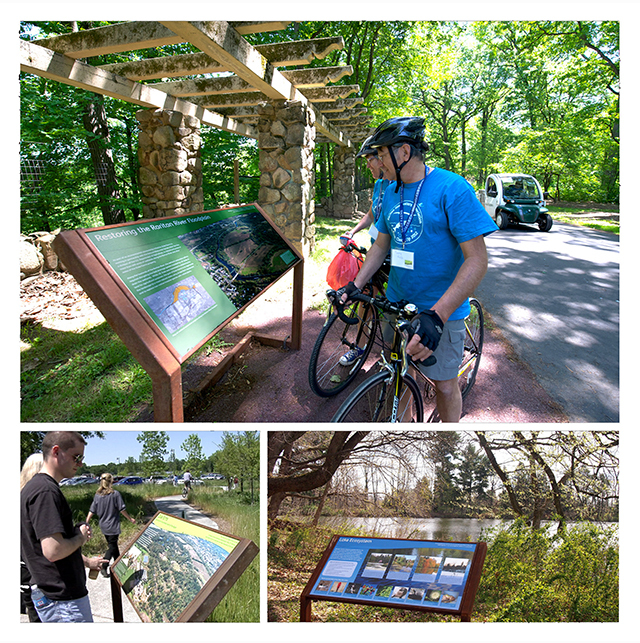 From the Eco-kit with binoculars, journal, brochure map, and field guide—to outdoor directional signs, waysides, and trail and audio markers, one system is designed to be carried around the property, while the other is fixed in place to help visitors navigate a varied and complex landscape.